Paris is the capital of France. It is one of the oldest cities in the world, and it is a very popular attraction for tourists. The history of the city dates as far back as the 3rd century BC, when the Celtic people settled and decided to call it Parisii. It prospered very quickly, and by the 12th century, Paris was the largest city in the entire Western world. More than half of the Western trade passed through Paris, and the University of Paris became a leading centre of education and research. By the turn of the 17th century, Paris was home to some of the world’s most prolific thinkers and leaders. It was regarded as a centre for science, fashion, commerce, and industry. With such a rich history, the French have made sure that they recorded as much of it as they could. 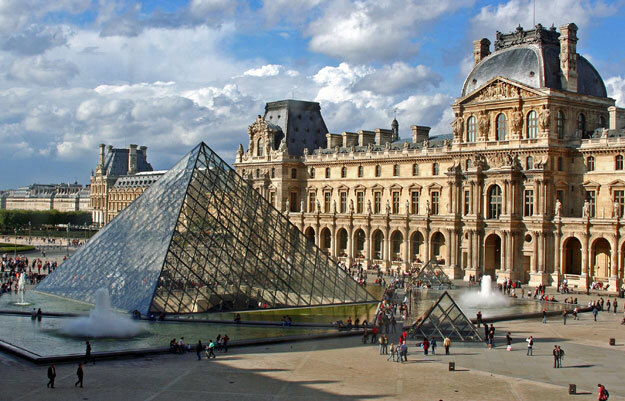 As a result, there are hundreds of museums and historic sites spread throughout Paris. As a tourist, it would be an injustice to yourself if you chose not to visit the Paris museums during your excursion. Here are some of the best museums that you should visit within the city of Paris. Arguably the most historically significant museum in the world, the Louvre is famous for housing some of the world’s most expensive paintings. The Mona Lisa, a historic painting made by Leonardo da Vinci, is exhibited in the Louvre. However, the Mona Lisa is just one of the many treasures in this glorious museum. There are magnificent sculptures showcased in the museum as well, such as the Aphrodite, which dates as far back as 100 BC. The Law Code of Hammurabi, a tablet stone that was claimed to have been written by the King of Babylon, is also present in the Louvre. It’s definitely worth a visit, despite the long queues and waiting lines, as historical significance is teeming around every corner. The Centre Pompidou is widely regarded as one of the most beautiful structures in all of Paris. It opened back in 1977 and currently houses the largest collection of modern art in all of Europe. There are more than 50,000 works of art made by more than 5,000 artists on site. All of these works are safely kept in the vaults of the museum. However, at any point in time, you will be able to view approximately 600 exhibits throughout the building. The Musee de Orsay was actually a train station at one point in time. It was designed by Victor Laloux back in 1900, and it features one of the largest collections of art in the entire world, particularly works that were created between 1848 up until 1914. The works of famous artists such as Renoir, Pissarro, Monet, Gauguin, Delacroix, Van Gogh, Cezanne, and many others are housed in the museum. There are plenty of other places that you should visit in Paris. The Notre Dame Cathedral, the Eiffel Tower, the Saint-Chapelle, and Petit Palais also have small collections of famous works that you should check out. With so many different sights to see, Paris is an excellent destination for people who are into history and want to take a peek back into the past.